Consequently, Windows on Eurasia presents a selection of 13 of these other and typically neglected stories at the end of each week. This is the 69th such compilation. It is only suggestive and far from complete – indeed, once again, one could have put out such a listing every day — but perhaps one or more of these stories will prove of broader interest. In the 17 years since Vladimir Putin came to power, Russia has received some 2.5 trillion US dollars from the sale of oil and gas abroad more than enough to develop the country and address its many needs. But the Kremlin leader and his cronies sent more than half of that abroad so as to enrich themselves rather than invest it on Russia. That is just part of what must be included in any balance sheet of his rule. Other parts are harder to monetarize, but the invasion of other countries, the suppression of democracy and various freedoms and his encouragement of some of the worst aspects of Russians must also be included on any such assessment. According to a new statistical analysis, the Russian media mentioned Donald Trump even more often than it did Vladimir Putin during January. 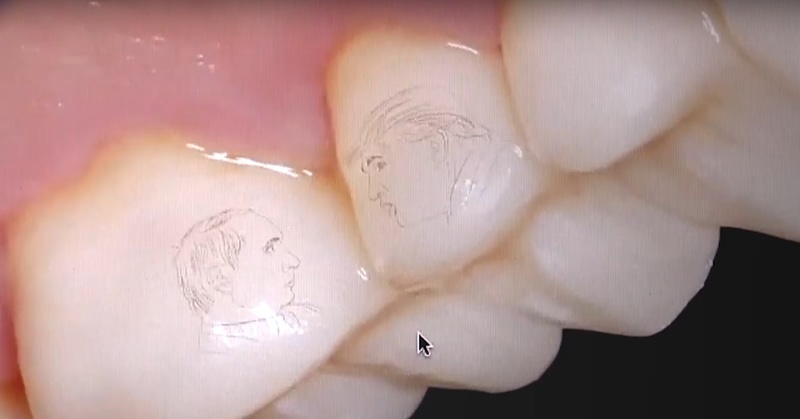 And with the mentions has come a wave of Trumpomania, perhaps the most extreme form being the decision of a Sochi resident to have profiles of Trump and Putin engraved on his teeth. With the deepening of the economic crisis in Russia, the purchasing power of ordinary Russians declining, and shortages of basic foods like rice being reported, some Russians speculate that the country might have to legalize cannibalism so that the population would have enough to eat. One in every five Russian firms isn’t making investments because of the sanctions regime. Russians may soon be fined if they are discovered hoarding Moscow-sanctioned food items. The real pay of Russian doctors is 60 percent less than Rosstat says as wave of closures of hospitals continues and prices of medicines continue to go up. Inmates in Russia’s strict regime camps must feed themselves or starve. Rice shortages are spreading through the country. Moscow deploys university students to work on Kerch bridge to Russia-occupied Crimea as the price for that mega-project continues to soar. And Russia falls even further behind on the Big Mac index. But despite this, the Kremlin said it would not cut military spending to help the population deal with its problems. Not all the economic news was bad, especially in the defense sector and for the rich. Bloomberg says the Russian economy did slightly better than reported earlier because of a new accounting method that includes outyear plans for defense spending, new ways for laundering money to send abroad have come into play, and Moscow is offering special tours to the North Pole on its nuclear-powered icebreaker over the next two years. The cost? Just under 28,000 US dollars per person, far beyond the reach of most Russians or others as well. As Moscow’s new law eliminating criminal punishments for violence within families is set to go into force and the country’s largest newspaper tells its readers that women should welcome beatings because those who are beaten are more likely to give birth to sons, a survey among Russia’s northern peoples finds that few of them share the widespread belief among Russians that beatings are a sign of love. And a decision to bring in priests to bless a road against accidents after the authorities announced they had no plans to fix its dangerous potholes. Russia’s monument wars continued the past week, with some conflicts intensifying and other unexpected developments emerging. Perhaps the most amusing of the latter was a decision to put up pictures of Aleksandr Nevsky in the Moscow metro, a project that came crashing down when the pictures put up resembled Darth Vader of Star Wars’ Evil Empire than the Russian prince who allied with the Mongols against the Teutonic knights. And Volgograd as it does every year according to a Putin law became Stalingrad for a day on the anniversary of the World War II battle there. But other evidence of Stalin’s more continuing return to Russian life included the discovery that the ombudsman responsible for children’s welfare in Yaroslavl has a picture of Stalin with a child. Hackers who have been linked to Moscow have leaked documents that seek to present the IOC investigation into the doping scandal as a political witch hunt. But more evidence of widespread use of permanence enhancing drugs by Russian athletes continue to surface. Meanwhile, 24 Russian athletes who have been stripped of their medals are ignoring demands they return them, even apparently when Russian sports authorities have acknowledged that there were violations and stripped a Russian athlete of a medal, an action apparently intended to curry favor with the West or at least sow confusion. Russia will not take part in the 2018 Paralympic Games, but the push to strip Russia of the FIFA World Cup appears to be easing at least in the US in the wake of Donald Trump’s election and shift on Russia. And that is happening despite growing evidence that Moscow will not have put the infrastructure in place that it promised as part of its agreement with FIFA to host that competition. Duma deputy speaker Petr Tolstoy’s remark about the role of Jews in seizing and destroying Russian churches a century ago has been condemned by many, but it has opened the floodgates for others who want to go back to blaming Jews for all their problems. Russia’s relatively few remaining Jews, feeling the chill of anti-Semitism, are moving as rapidly as possible to Israel and now outnumber Jews repatriating there from any other country. 8. Is There a Muslim Maidan in Moscow’s Future? Mufti Ravil Gainutdin, head of the Council of Muftis of Russia, says that widespread Russian discrimination against Muslims may force the latter consider organizing a Maidan in Russia in order to defend their rights. And they are less inclined to be hostile to members of Muslim nationalities than they were a decade ago precisely because they are more fearful of conflicts arising abroad. One of the most noxious heroes of Soviet times was the boy Pavlik Morozov who was killed by relatives for turning in his parents to the authorities. Now, he is making a comeback as a hero in Russia, and the idea that turning people in to the authorities is a good thing for Russians to do is being encouraged not only by new laws but by a newly-popular computer game. The effective end of the one-child policy in China has led to a baby boom in that country, and some Russians are now worried that this demographic development will lead Beijing to look northward to the underpopulated areas of the Russian Federation east of the Urals, given that Russia is definitely not experiencing a baby boom of its own. The Russian government was sufficiently concerned that the Nobel Peace Prize might be awarded to Ukrainian President Petro Poroshenko that it launched an ‘active measure‘ campaign via the Russian special services SVR/FSB to prevent that from happening, according to Scandinavian investigators. Ruslan Kurbanov, a specialist on the Caucasus at the Moscow Institute of Oriental Studies, says that “a significant fraction” of Russia’s siloviki and other officials “are infected with imperial chauvinism” and that this limits their effectiveness. A pilot for Aeroflot having been told that there was a man on his flight who was being deported to a Middle Eastern country where he almost certainly would be killed stopped the plane and allowed the man to get off and flee in order to avoid that outcome. Kazakh officials are extremely worried by what they say is the “exponential” growth of extremist materials of all kinds on the Internet in Kazakhstan in both Kazakh and Russian languages. The Russian language is not the only threat to non-Russian languages, experts say. Other non-Russian ones can be a threat as well if members of one group living in a place dominated by speakers of another lose their native tongue. That is now happening, Astana says, with some ethnic Kazakhs who live in Tajikistan. According to a new survey conducted for the Russian Federal Agency for Nationality Affairs, Crimean Tatars in Russian-occupied Crimea are nearly eight times more likely to say they have suffered from discrimination and the hostility of other groups than are ethnic minorities in the Russian Federation, with 38 percent making such declarations compared to five percent by the other ethnic communities. Even though this step violates international law and opens Aeroflot and other carriers to possible sanctions, Moscow has decided to recognize the passports issued by its sponsored territorial entities within Ukraine the so-called “Luhansk Peoples Republic” and the “Donetsk Peoples Republic” as travel documents that Russian officials and firms will accept as travel documents equivalent to the passports of actual countries. In dramatic fashion, Belarusian leader Alyaksandr Lukashenka has positioned himself in opposition to Moscow by declaring that “fraternal Ukraine” is fighting for its independence, a statement that is far tougher than those made by many Western governments concerning the new upsurge in fighting. Indeed, the US Department of State in its initial statement didn’t mention Russia by name in its condemnation of the fighting at Avdiivka. Russian officials who present “alternative facts” about Belarus and the Belarusian language are simply lying, a Minsk historian says, noting that the idea that Moscow “invented” both in 1926 is contradicted by all available information about Belarusian history.